These are just a few of the words that describe Cornwall’s beaches during the winter months, when the storm-tossed seas take centre stage. The North Coast gets some of the wildest weather in the UK. Winds sweep across the Atlantic, straight from Newfoundland, whipping up the waves into a frenzy. 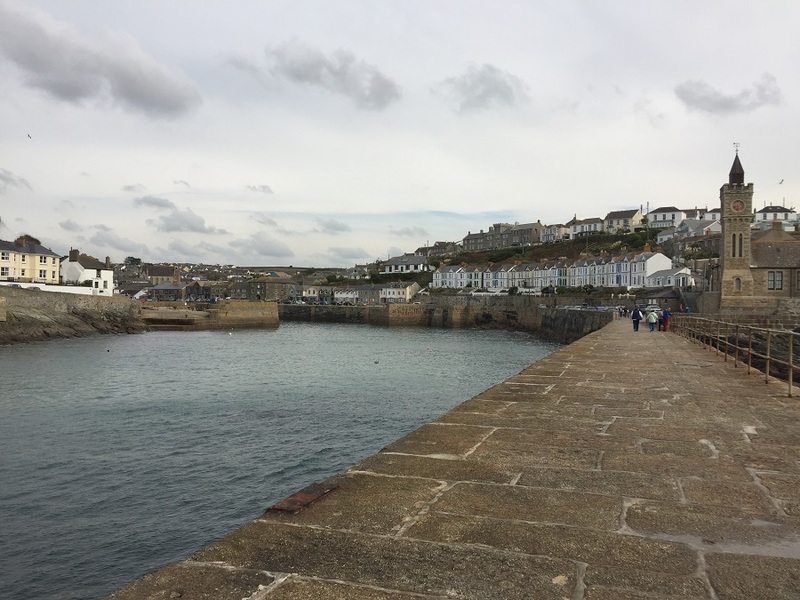 It can be wonderful time of year to visit Cornwall – and it’s a completely different experience to summer. Wrap up for bracing coastal walks, then warm up in a cosy beach cafe. Watch out for hardy surfers chasing the biggest waves – just watching them can be an adrenaline rush! 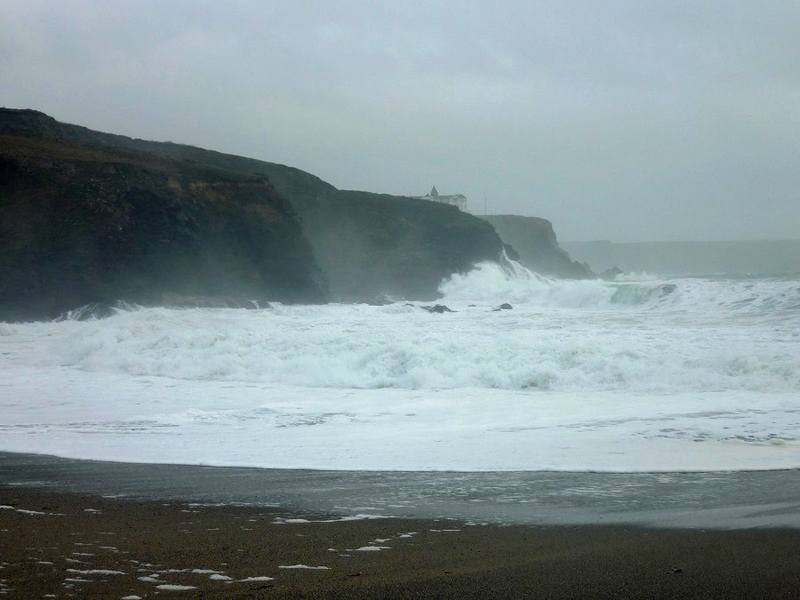 Portreath, with its ancient harbour, and nearby Porthtowan are both great places to see huge waves in the winter months. Porthtowan’s Blue Bar is perfect for warming up afterwards, with fantastic coffee and a variety of delicious lunch options and bar snacks. 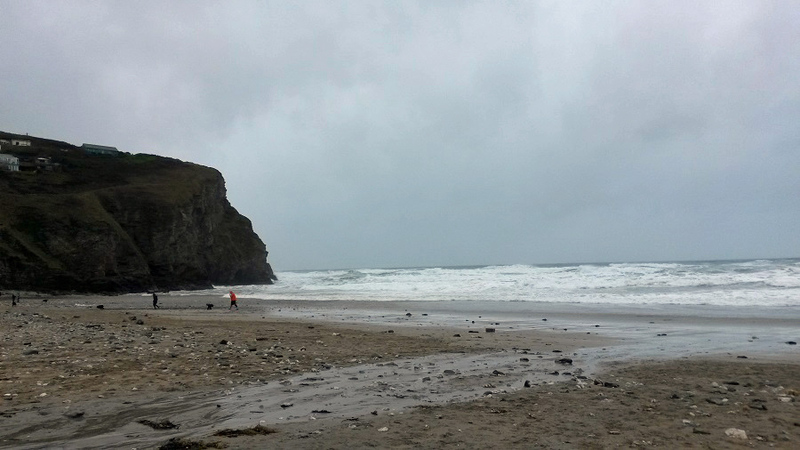 Head to Watergate Bay at almost any time of the year and you’re guaranteed to see some impressive surfing. The Beach Hut serves up excellent food so you can dine while you watch the waves. If you’re looking for an extra-special dining experience, try Jamie Oliver’s Fifteen Cornwall, where the food is as stunning as the views. 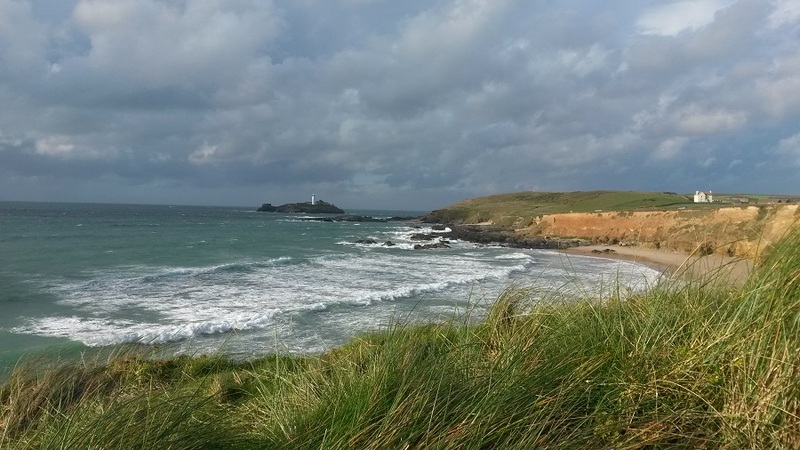 With miles of golden sands, Godrevy is a popular beach with holidaymakers during the summer months. In winter it becomes rugged and dramatic. Wrap up warm for this one – it’s breathtakingly beautiful but quite exposed. Sheltered behind the sand dunes is Godrevy Beach Cafe, where you can shed some layers and enjoy a well-earned hot chocolate after your walk. When the winter storms roll in, the waves crash against Porthleven’s granite pier and harbour and over the iconic clock tower. The Ship Inn, on the harbour, is an atmospheric 17th century pub that’s perfect for warming up after a brisk walk. Gunwalloe, on the Lizard peninsula, is impressive at any time of the year. Don’t miss the tiny church nestled right by the beach, which dates back to the 15th century. They don’t call it ‘church of the storms’ for nothing – even on a fairly calm day you can hear the waves when you’re inside. The historic Halzephron Innis just a short walk from the beach and is steeped in smuggling history. And if you venture up on the cliff path, look out for the smugglers’ passage cut into the rocks! Above all, make sure you stay safe while you’re wave watching – make sure wear appropriate clothing and footwear, and follow the advice from the #CoastSafe campaign. December and January are usually the best months for storm chasing in Cornwall. Dogs are also allowed on most beaches until Easter, so it could be the perfect opportunity for a dog friendly break in Cornwall. This digital postcard from Visit Cornwall captures the experience of exploring Cornwall’s beaches during the winter. Tempted? Take a look at our short break availability and start planning your winter getaway now. 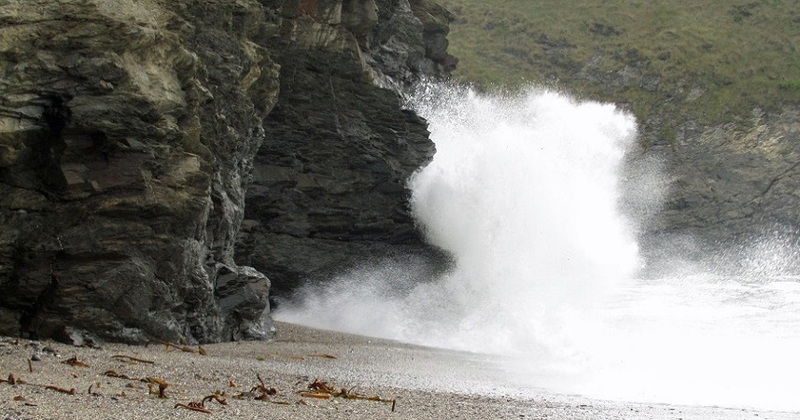 Which is your favourite beach to visit in Cornwall during the winter, and why? Leave a message below, post on our Facebook page, or tweet @Bosinver – we’d love to hear your thoughts. If you would like to know more about booking a holiday here at Bosinver, please email reception@bosinver.co.uk or call 01726 72128.